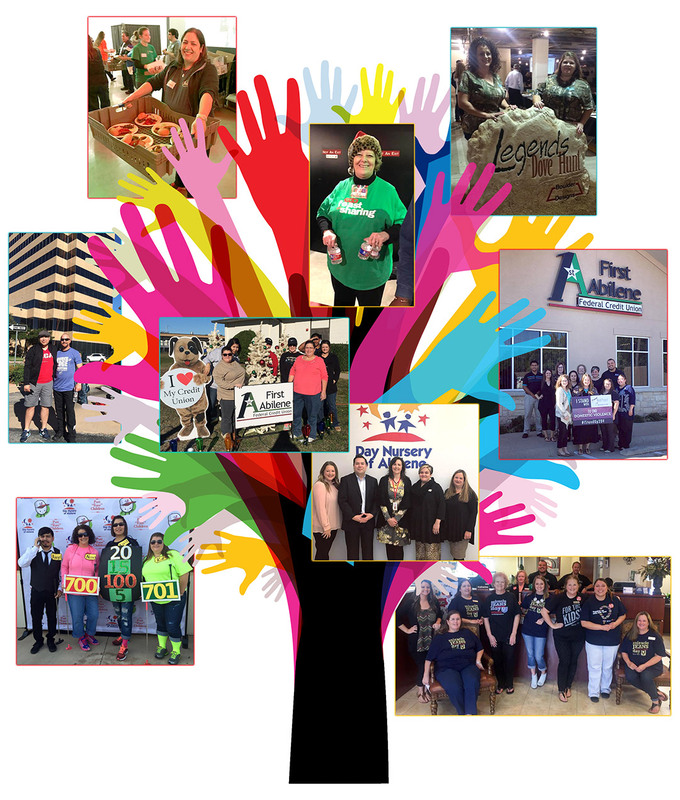 We understand the important role First Abilene Federal Credit Union plays in addressing the economic and social development of the communities we live in. We understand your needs, share the same experiences, shop at the same stores and live in the same neighborhoods. Through volunteerism, donations and sponsorships, we are actively involved in serving our community. See our employee volunteer hours HERE!